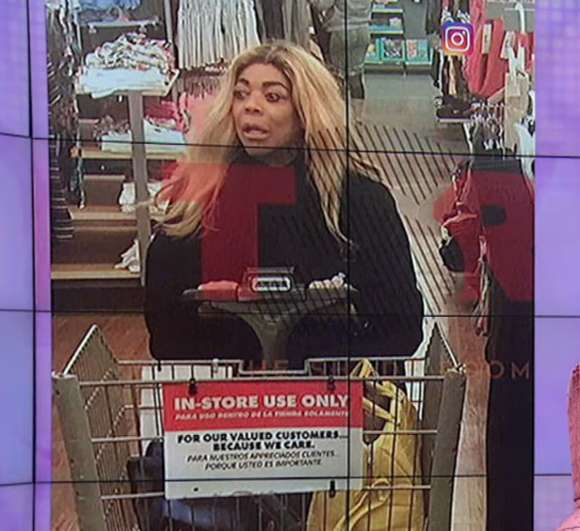 Wendy Williams may not be willing to talk about her marriage problems, but she’s opening up about her journey to sobriety. Specifically the tabloids characterizing Williams as “frail” or incapable because she’s in a sober living facility. What do YOU think about the picture Wendy paints of a sober living facility? Not how you thought of it? Now back to the photo that’s been going around over the weekend… Wendy had a whole story to tell about that. “We went up there and the Wal-Mart is the social place. When I’m away from the show, sometimes I do take selfies. Sometimes. At 4 o’clock in the morning, I’m sitting in this scooter. There are a lot of scooters. The staff let me and my girls use the scooters because there was nobody there. I mean, there were people there, but like the townies, not that many. Families and stuff. And the picture, of course, is Internet history. OK, we have to say it. We’re all for celebs letting people take pics, but 4 in the morning?? Gurl, what are you doing letting people take pics of you at 4 in the morning? Of COURSE people are making assumptions about your health! No one looks hale and hearty at that hour! Unless it’s about marriage problems, we guess. Anyway, see Wendy’s complete story behind the pic (below)! ← Pete! Pete! Pete! Buttigieg fever hits New Hampshire can he keep up the pace?